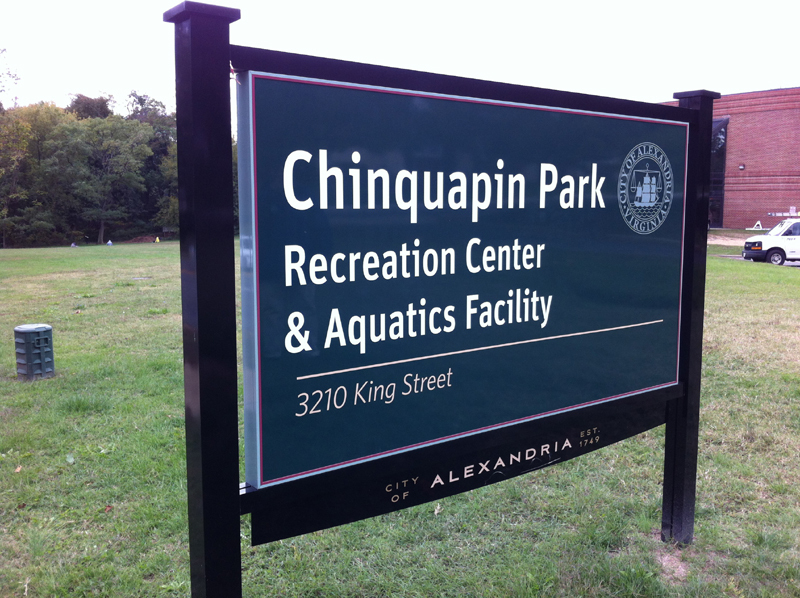 Alexandria has now taken the crucial first step in the process to build a 50-meter competition pool at Chinquapin. In early March, a contract was awarded to the Hughes Group Architects to assess the feasibility of a 50-meter pool on the Chinquapin site. Hughes will notify the city by late March or early April whether or not a 50-meter pool is feasible there. If the answer is yes, the firm will then prepare a report that outlines the recommended location(s) for the 50-meter pool. It will also provide cost estimates for both the new pool and the conversion of the existing pool to a recreation pool with additional amenities and features. The city will hold meetings this spring to gather input from the community. The report should be available sometime this summer. As the mom of two swimmers and vice-chair of Advocates for Alexandria Aquatics, a citizen group that’s advocating for improved aquatics facilities in Alexandria, I’ve had several parents ask me: “Didn’t the work that was done at Chinquapin last year correct the problem with the pool?” If “the problem” was the outdated HVAC system and other needed mechanical upgrades, then the answer is yes, that problem has been corrected. (For more information on what was done, see “What’s New and Different at Chinquapin?”) But if “the problem” was that the pool is not regulation length in either yards or meters, then the answer is no, that issue never was contemplated to be within the scope of work. Correcting the length of the 30-year-old pool would be cost-prohibitive, and given the city’s growing demand for pool space, a more sensible approach is to add a 50-meter pool at Chinquapin. Meanwhile, Alexandria’s Department of Recreation, Parks and Cultural Activities is seeking citizen input to guide the department in developing future program offerings of all types, and they invite you to take a short Program Interest Survey before May 2. The results of the survey will be posted on the city website after they are compiled. This Wednesday, March 26, from 7 to 9 p.m. in the media center at the Minnie Howard campus of T.C. Williams High School, parents have an opportunity to meet and greet the new school superintendent, Dr. Alvin Crawley. Park in the lot next to the athletic field, go in the Braddock Road front entrance, and the media center is on the left. Regular Port City Notebook readers know that I often cite Tracy Grant, the “Momspeak” columnist in the Washington Post Local Living Section. Not only is she a fellow mother of twins, but she has a practical, no-nonsense approach to school issues that resonates with me. In Grant’s March 13 column, she wrote about the recently-announced changes to the SAT, including the elimination of the mandatory writing section. The ability to communicate clearly is a prerequisite for just about any workplace or field of study that I can think of, and too little time is devoted to developing this skill during our data-driven school days. If your T.C. student needs extra help with writing, make sure that he or she knows about the writing centers at both the Minnie Howard and main campuses. The main campus writing center is open to all students during lunch and after school for assistance with essays and other school assignments. It is staffed by a teacher as well as student volunteers who are members of the National English Honor Society.